This magnificent clock is just what Dad or Granddad needs in his study or den. 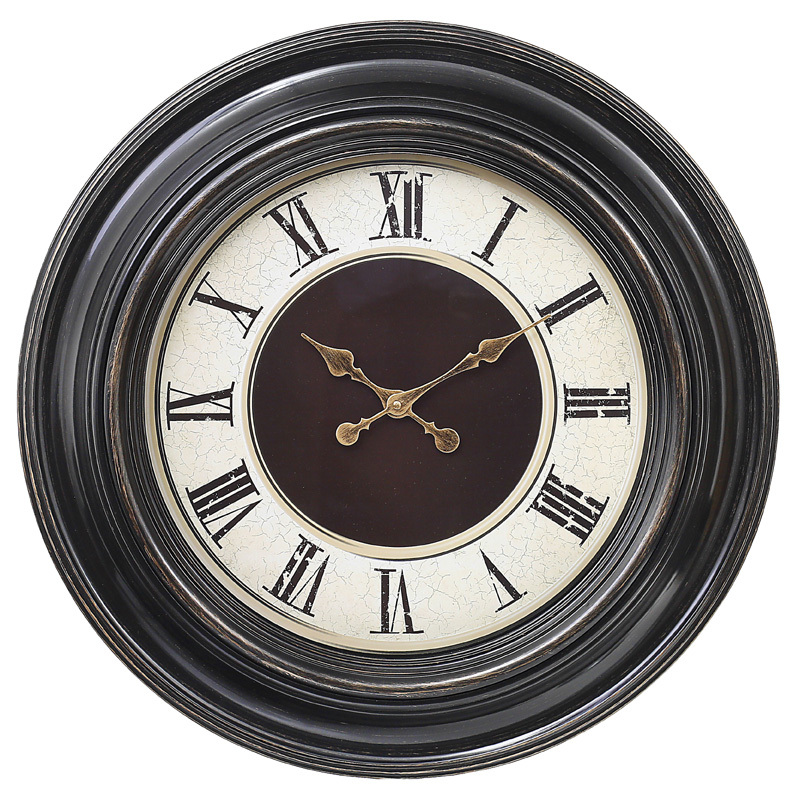 Featuring an opulent dark wood-style look, it has a faded cream face with ancient Roman numerals. The elegant teardrop hour and minute hands are finished in a tarnished gold. Textured layers in the case reflect shadows and depths that will delight the eye as he relaxes at the end of the day with a great brandy and a cigar. Size diameter 61cm.